Whether you enjoy cooking or not, you need to understand the value a good kitchen has in your home. It’s the area where you can relax, be creative, prepare healthy food for your family, and show your guests all the things you’re capable of doing. That’s why your kitchen has to be as functional and sustainable as possible because only such a kitchen is going to make you inspired and help you turn all your culinary ideas into reality. So, if you want to create a functional kitchen for yourself in the near future, here are some of the things you need to do. When it comes to functionality, this is the most important thing out there. A great layout is going to help you maneuver around the kitchen more easily and prevent you from bumping into things and feeling enclosed in your cooking space. It will also allow you to accomplish more in less time, which is crucial for boosting and developing cooking experience. But, how to find a layout that is guaranteed to suit your kitchen completely? There are lots of amazing layouts you can try out, depending on the size and shape of your kitchen. Big square kitchens are great for L-shaped layouts, while tinier ones need to explore one-wall layouts that focus all appliances on one end of the kitchen. Finally, kitchens that are narrow yet long could benefit the most from a galley layout – this style is also known as the I-layout – so start looking for ways to implement your desired layout in your kitchen as soon as possible. This is another way to make your kitchen more functional than ever, and the greatest thing about countertops is that they don’t really depend on the size of your kitchen – even the smallest ones have them! 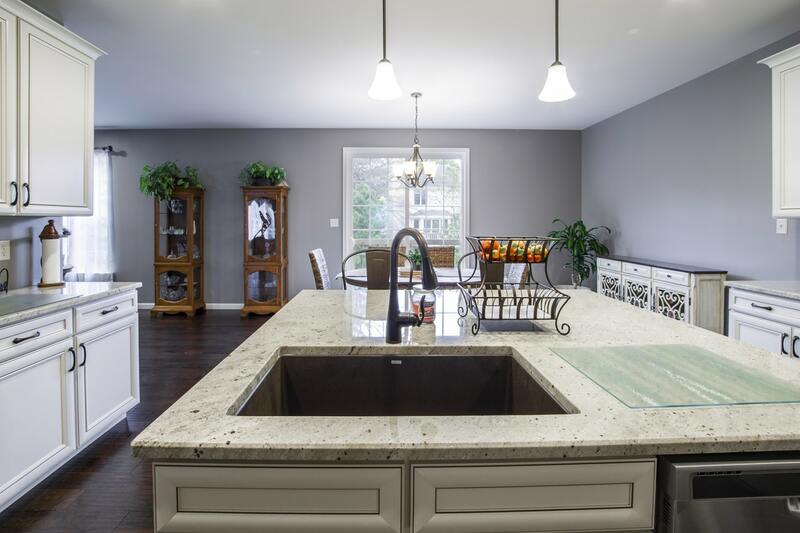 Of course, a bigger kitchen means more countertop space, and this is the best way to ensure your kitchen space is used to the fullest and that every single inch of space you have there is put to good use. Countertops aren’t important just for the functionality of your kitchen – but just imagine how many gadgets and small appliances you can fit on a massive countertop! – but for the visual appeal as well. They come in various colors, patterns, and materials, and, if you spend some time sorting through the options and picking the right one, you’ll be able to make your kitchen nicer than you’ve ever imagined. This will also make it more inspiring, and you’ll soon realize that your kitchen has actually become the favorite part of your entire home. Being able to do more things at once is vital for a functional kitchen, but not everyone knows how to do that. You may not be the most skillful and experienced cook in the world, and that can be rather scary, but this has nothing to do with your skills or your experience – it’s all about the organization of your kitchen. Namely, if you put all your essential appliances – the fridge, the stove, the oven, and the dishwasher, for example – next to each other, you’ll have no problems reaching from one to the other in a matter of seconds. This will help you become a better cook, save you valuable time on a daily basis, lower your stress, but also make your kitchen more functional. If you want to keep this space as healthy and sustainable as you can too, think about installing one of those helpful fire ducts as well, and you’ll never have a problem with smoke and stale air ever again. Make sure your team also goes through all the necessary training as well. Reusing old materials and resources is another useful idea for boosting the level of sustainability in your home. Second-hand wood, for instance, is amazing for your countertops, as well as your cabinets and your kitchen island. Using this material is great for the visual appeal of your cooking space, and it will add a dose of charm and luxury to your kitchen too, so explore this idea straight away. Creating a more functional and sustainable kitchen might not be the easiest job in the world, especially if you’ve never done it before, but it’s still doable if you get organized, know what you’re trying to accomplish, and follow the aforementioned ideas.